Still negatively impacted by the demand for larger screened Apple iPhone models, Samsung is expected to reduce its orders with the supply chain for the current quarter running through the first quarter of 2016. Lower orders for components means that Samsung will probably produce fewer smartphones from September through March. 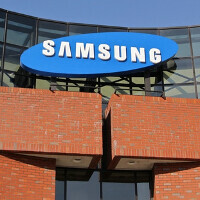 Besides top-shelf handsets, Samsung is also believed to be cutting back on the production of tablets. In addition to Apple's overwhelming success with the Apple iPhone 6 and Apple iPhone 6 Plus, Samsung is facing tough competition in China from manufacturers selling highly spec'd handsets at affordable prices. With that in mind, Chinese smartphone producers are said to be interested in using AMOLED displays on lower priced handsets if Samsung Display is forced to cut the price of such screens, because of weak high-end smartphone sales in the country. Last month, Samsung unveiled two of its higher-priced models with the Samsung Galaxy S6 edge+ and the Samsung Galaxy Note5. We've also seen what looks to be the Samsung Galaxy S7 undergoing benchmark tests using various chipsets. While on the surface, it seems like business as usual for the company, the momentum generated last September by Apple has continued to hurt Samsung and there is no sign with the introduction of the Apple iPhone 6s and Apple iPhone 6s Plus that this will be slowing down. As we told you yesterday, all signs point to record demand for the new iPhone models on its initial weekend of sales. It all comes down to choices. In iOS world only Apple is a player and their loyal fans will buy whatever Apple has to offer. In Android world there are thousands of manufacturers along with Sammy and fans jump around due to choices. But amount of sales and profit Samsung manage to generate in Android echo system isn't going anywhere. They have the best lineup in the market as compare to any other Android manufacturer and this is the only company which compete with Apple in premium smartphones category. And not to forget the components supplied by Samsung to other vendors. I disagree based on what I have seen with my eyes. Since I am with VZW, T-Mobile and I also order phones for employees from ATT, I know exactly what most buyers are doing and I could say it with a very high degree of affirmation. I do agree that yes Android has a lot of choice, but people aren't diving from brand to brand liek you think. Myself, i started off with a Droid Incredible. I tried a Droid Charge but it sucked. Once I got an S3, I've been sticking with Samsung since only because I have gotten so use to how they work, i dislike vanilla Android and none of the other phones are attractive to me. When I go to VZW, or order from ATT and when I vist T-Mobile, the vast majority of people I see, simply buy the same phone they had. So all our iPhone users keep buying iPhones, all the Galaxy S users keep buying the S. We had 2 employees this year not get an iPhone this time and chose the S6 Edge+. I also agree that yes iFans will simply keep buying Apple. But you aren't considering this. In the USA, the carriers are offering deal to get people to keep an iPhone. T-Mobile is offer iPhone least where for $20 per month you can upgrade to a new iPhone by simply handing over yours. I was so tempted to jump on that deal with T. The only reason I didnt is I just didnt find the latest iphone to offer what I would want in a device. It would mean giving up too much. However, I read the source article, which PA has spun off to make it seem Apple is the reason Samsung is having such a hard time. Samsung is still selling roughly the same amount of phones on the high end as before. If people have stopped buying the S or Note, it wouldnt be because Apple has a big phone now, it would be because maybe they arent happy with the lost of its features, or the Apple lease a phone deal is simply to good to past up. Because see, Android phones dont need special deals to sell.If the S6's had a Galaxy lease deal where you could get a phone for $20 per month, and when the next model comes you simply hand over your old one and get a new one with no money down and you just keep paying $20, they sells would be off the chain. But see we dont get those special sells incentives. The carriers only do that for the iPhone. Samsung? ?premium smarphones category? ?LOL There are many Android manufacturers more suited to be in that category,for example: HTC with its One series,Sony with its Z lineup, even Huawei with Mate S looks better than Samsung latest offer. This is not good news for power users like myself since Samsung will be increasingly obsessed with style over substance like on S6 & Note 5 meaning little chance of a phone that actually does everything the way Samsungs used to be. Seems like the only thing lagging is your brain development. I sense a 18" tablet to wow apple pro lol..
9 out of 10 people in the United States are buying only Iphones. i don't know how Android vendors will survive in a year or 2, since most of them are losing money. USA Web sites are constantly spreading false news. They are spreading false news against Samsung mobiles. Is “Fake News” More Effective than “Real” News? GSMarena has the same news. This is a baseless news. This website publishes false news. I think this is pure speculation and PA should verify it's sources better. Take a note of this, if you were running Apple as weekends sales approaches you would give the media a stellar number of pre-orders so that you keep the mindless crowds pozitive and optimistic about a product. This is what sales the iPhone, this group spirit of everyone trying to buy it because let's face it, nowadays it's a phone that is far behind in specs, experience, design in front of it's competitors. Why is the assumption that when Samsung is cutting orders, its because of Apple? Could it be, Samsung was expecting to sell even more Notes or S6 models, but maybe now since its near time for the next ones (Galaxy S), they are cutting back and preparing to order the next components for their phones? Wouldn't you assume if Samsung is preparing for S7 they would be ordering more components? What does Samsung do with all the unsold Galaxy phones?